Exciting Plumbing Products for Your Home! Stop Wasting Water, Energy, and Money! This system is one you are going to love. An "Auto-Re-Circulation" system saves the average family a minimum of 15,000 gallons of water annually. 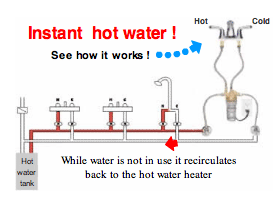 This is ideal for a home or building whenever you have to wait 30 seconds or more for hot water to arrive at the faucet or shower farthest from your water heater. You don't use hot water 24 hours a day. But, you're paying to heat water 24 hours a day. With a standard water heater, you heat and reheat the same water…even when you're sleeping. 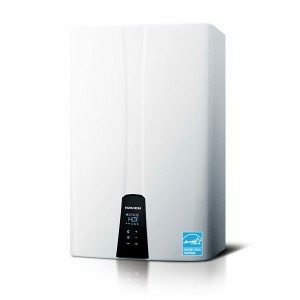 Fox Plumbing & Heating promotes the Navian Tankless Water Heater to our friends and neighbors. Navian can save a traditional sized family (3 to 4 family members) over 40% a year in water heating costs. That means more savings to you and your family. 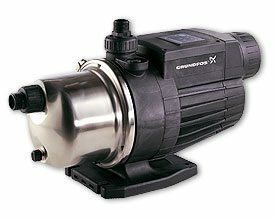 The Grundfos MQ is a compact pump and pressure boosting unit, purpose-designed for domestic water supply, and it’s a compact and reliable, easy-to-install pump. The MQ is a self-priming multistage centrifugal pump. This means that if you have a home that doesn’t have great water pressure, then this is a great option for you and your home. It self-primes from a well depth of down to 8m within a maximum of 5 minutes. 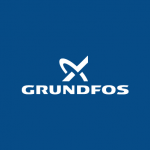 They are easy to use and operate and Fox Plumbing & Heating plumbing professionals are happy to help explain how to get the most out of the Grundfos MQ. As a plumbing, heating, and cooling service company we take pride in the fact that we work like a service company should, and only provide the best possible and most reliable options to all of our friends, neighbors and customers. Currently, we promote Moen as our premium line for customers. Moen has a long history of providing a number of options and quality faucets for individual’s needs. And their aesthetic designs make them a wonderful addition to any home. Our plumbing professionals also promote Grohe as a premium product to our friends, neighbors and customers. Grohe have been making sanitary faucets since 1936. They are now the largest manufacturer in Europe, and have a tradition for premium faucets. Fox Plumbing & Heating provides an entire line of toilet options to our friends, neighbors and customers, but one of our best options for cutting edge technology is Toto. From their toilets to their tubs, Toto provides the very best in comfort, design and aesthetic appeal. That’s why Fox always promotes their level of quality and knowledge. We promote lots of different options for toilets. And all of our toilets meet the high-performance toilet rating as stated by the Federal mandate. Many of us have garbage disposals, but you may not even know what brand or how old your garbage disposal is until it stops working. Don’t worry, Fox Plumbing & Heating has you covered by providing the best options in the industry. Our plumbing professionals carry at least one Waste King garbage disposal on their ‘Warehouse on Wheels’ at all times. Waste King and InSinkErator are the top garbage disposals in the industry, and we have both available for your home needs. 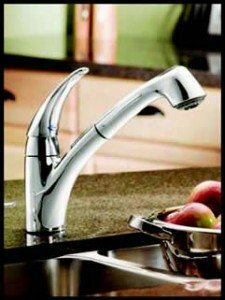 Our plumbing professionals also have InSinkErator products for our friends, neighbors, and customers who need Instant Hot taps in their kitchens. 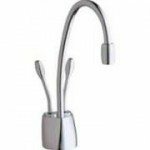 Many people today like to have an instant hot water tap in their homes for sanitary cleaning or to brew a quick cup of hot tea or coffee. From Kirkland to Kent, we have the best products to make your home feel just like that, a home. Liberty Pump has been providing submersible pumps since 1965. 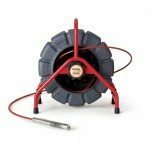 Whether you need a pump for groundwater, sewer or other needs Liberty Pump is a leader in the pump industry. And Fox Plumbing & Heating can help you install one today. Our team has a long history of working with Liberty Pumps and it’s the primary company that we promote to our friends, neighbors, and customers. Because these are superior products and the long history of standing behind the pumps that they sell. Whether you need a pump for home or business this is the company that, like Fox, you can trust. Fox Plumbing & Heating uses Viega PEX with copper stub outs for the majority of water re-piping. PEX is a common term for cross-linked polyethylene, a type of cross-linked bonds in the polymer structure. Fox Plumbing & Heating never used PVC or CPVC tubing for water lines, because of the issues with the longevity and reliability of these types of piping. And we do still use copper tubing, upon request in certain commercial applications. Viega is a family owned international company that’s known for their exceptional quality, durability and warranty. We use SDR17 High-Density Polyethylene (HDPE) pipe when doing trenchless sewer jobs. The pipe is heated and fused to make it the necessary length. HDPE replaces traditional concrete and clay sewer lines and has a longer life expectancy. To ensure that these pipes stay connected we use stainless shielded couplings for the sewer connections. Fox Plumbing & Heating uses a number of professional products to ensure that we have the best tools to complete the work to get your home back to pristine order. We use professional cameras and snakes from Rigid to video camera sewer lines. We own professional moles and our drill, which is on-site, is from Ditch Witch. Our drill allows us to do trenchless water line replacement. When we do a sewer line burst, we use a Tric line bursting machine. This reduces the costs of landscaping by using underground sewer line bursting technology. Our plumbing professionals also use a Nibco mega press to ensure that when we make repairs, it’s done right - the first time!